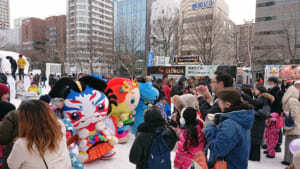 The 70th annual Sapporo Snow Festival was held this past January 31st through February 11th, at the Odori/Susukino and Tsudome sites. While a massive cold front hit during the festival, bringing record-setting temperatures, the number of total visitors approached 2.74 million, setting a record for the festival and its current number of venues. 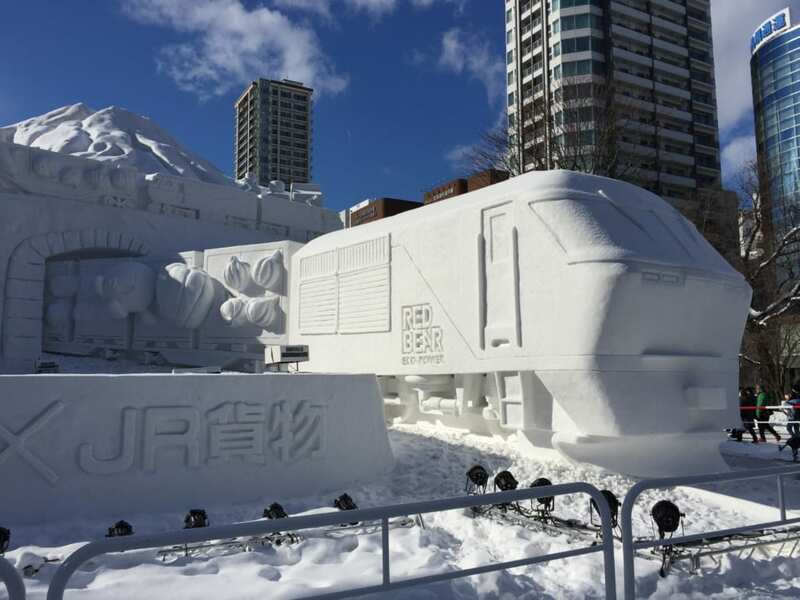 This year’s festival of snow and ice was truly a sight to behold! Happy Ningels had a booth at the HTB Snow Square portion of the Odori Site (located at Odori 8-chome), home to the impressive large snow sculpture of the JR (Japan Railways) DF200 freight train, nicknamed “Red Bear.” Given the location, it was only natural that the Ningels would team up with the beloved HTB mascot “On-chan” to entertain visitors. 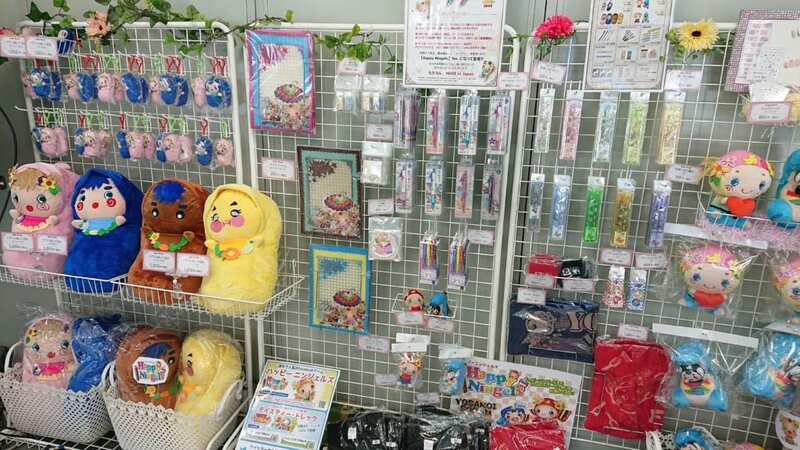 Meanwhile, the booth featured a huge poster of Molly outside, welcoming visitors who enjoyed playable game demos and a variety of Happy Ningels merchandise inside. 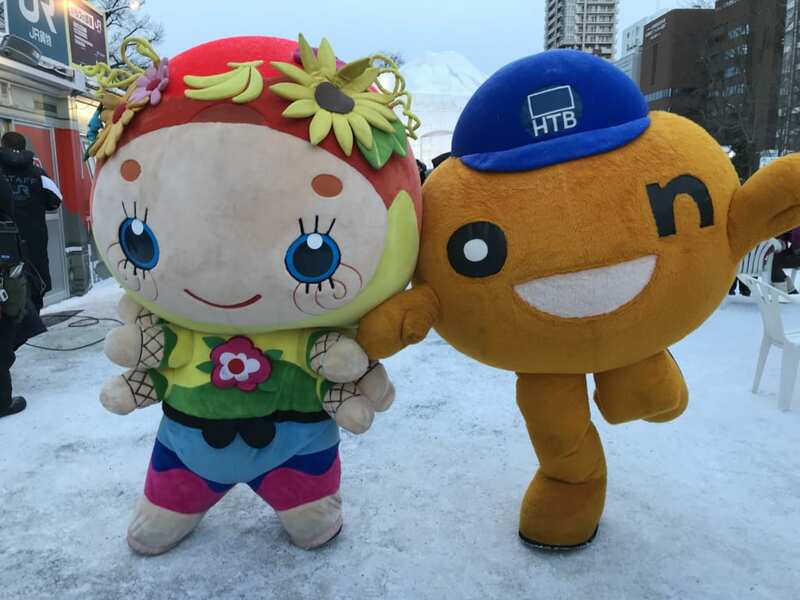 During the event, there were lots of opportunities for the Happy Ningels crew to team up with HTB presenters and the adorable On-chan. 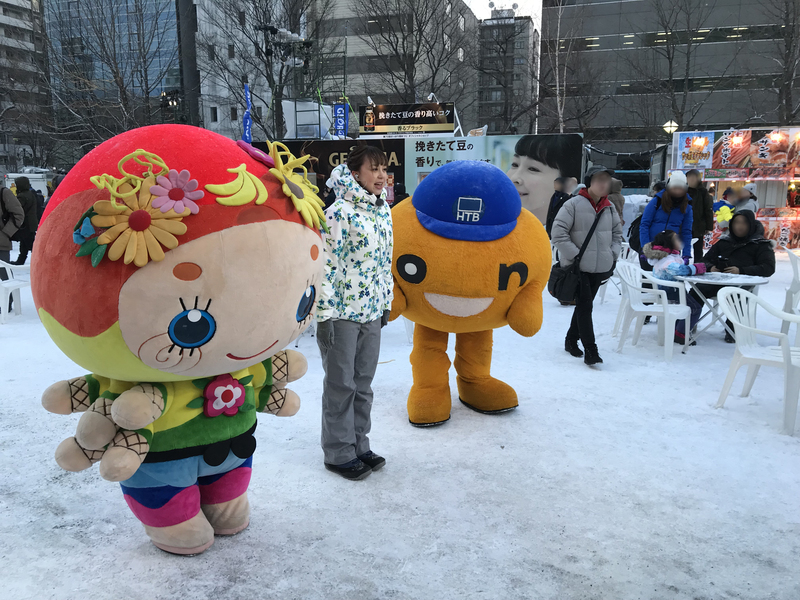 On Monday the 4th (the first day for the Odori/Susukino venue), HTB’s evening “Ichioshi” program paid a visit to the Happy Ningels booth, while Molly and friends later joined up for a special HTB on-stage event on Sunday the 10th. 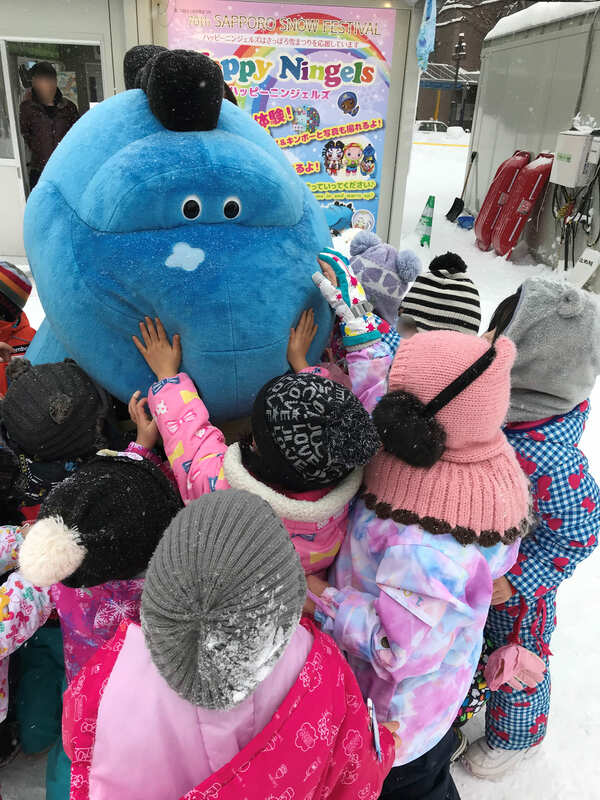 The gang lent a hand on the big stage for On-chan’s morning calisthenics routine and participated in commemorative photos for certain lucky visitors, ensuring a great time was had by all. 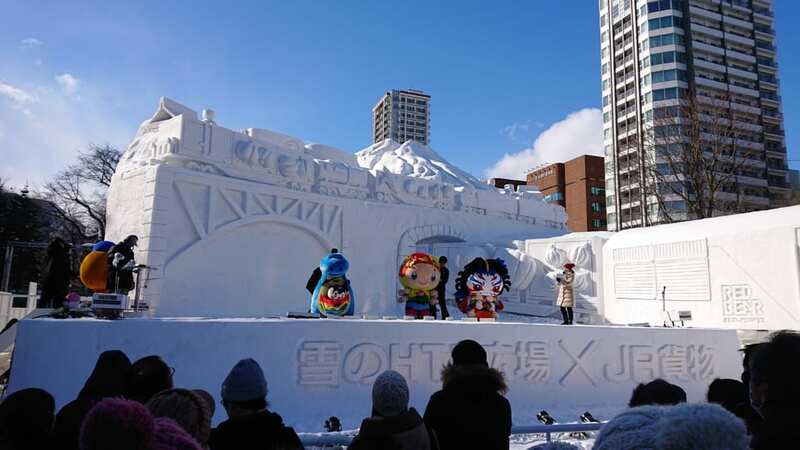 After days of frigid weather and warm hospitality, the Hokkaido winter tradition that is the Sapporo Snow Festival came to a successful conclusion. Thanks to all who came out, and those who helped throughout the event! 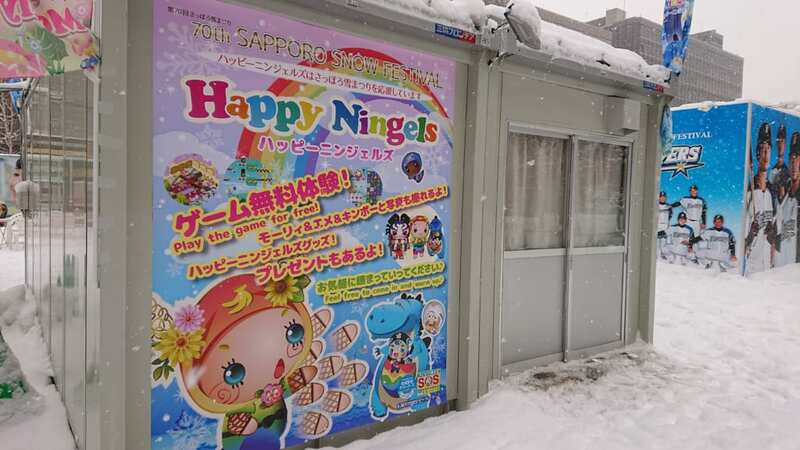 Keep your eyes peeled for future Happy Ningels events—we’ve got lots planned!